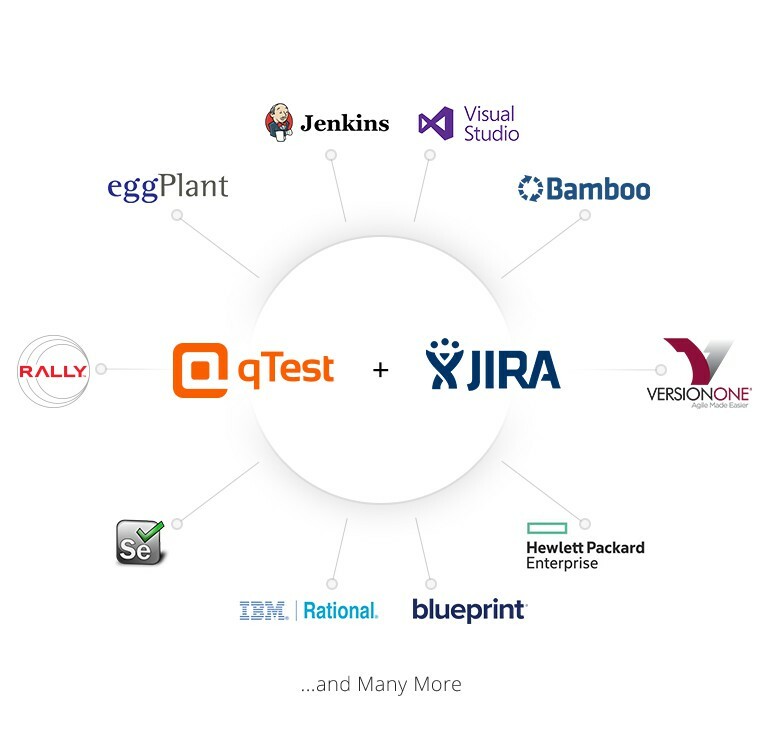 The Zephyr plugin for JIRA might work for small project teams, but for those who need a testing platform built for the enterprise - qTest is your answer. See how qTest's platform capabilities compare against Zephyr for JIRA. Zephyr for JIRA only allows you to manage tests in a flat list without the ability to nest test runs into test cycles and/or test suites. With qTest Manager, you have the flexibility to organize your test runs any way you want. 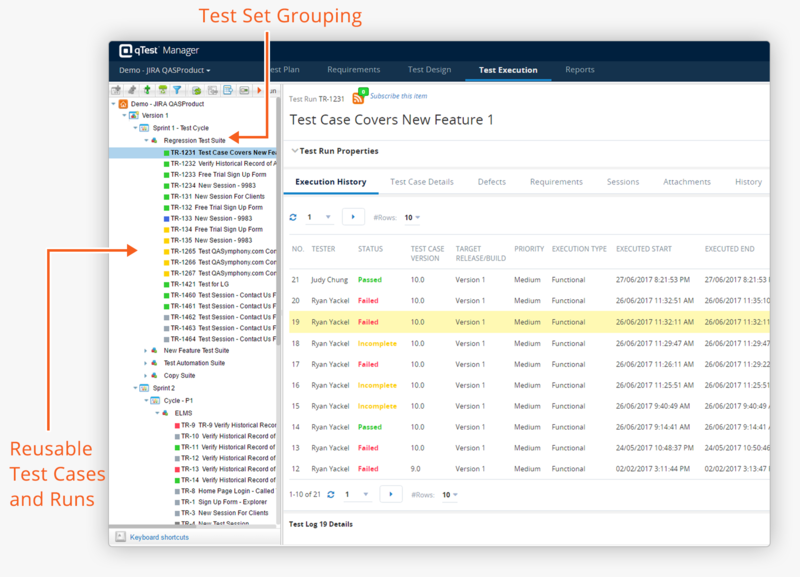 Create logical groups of test runs to better organize and prioritize test activities. Track Automation and Manual executions side-by-side, and instantly reuse tests from release-to-release. Test Management add-ons for JIRA have extremely limited reporting capabilities. 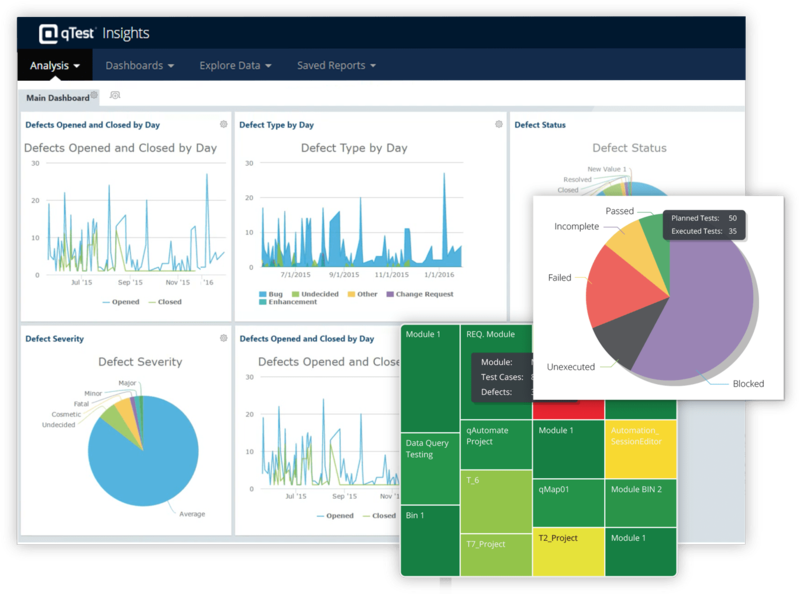 Upgrade your reporting game with qTest Insights, a self-service business intelligence tool that provides detailed visual reporting to help improve test quality, coverage, and velocity. The qTest Platform is the most integrated testing software on the market. Connect with the most popular developer tools like Bamboo, Jenkins, Selenium and many more. The qTest Platform provides the testing solutions, support and training your team needs for Agile test methodologies. Zephyr for JIRA may have test case management, but they don’t have a platform of tools for advanced test analytics, BDD testing, or exploratory testing. The qTest Platform comes with more than just a suite of testing tools. Your team will have dedicated customer success representative, an expansive video training library, and a support site to ensure your team is up to speed on all QASymphony products. Join a partnership where your feedback and requests matter! Our customers get multiple product releases per quarter driven by the features you suggest to our product team.